CLEARANCE SPECIALS! 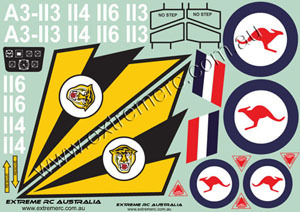 : RC Hobbies at Extreme RC Electric flight Specialist, best range of ducted fan EDF jets in Australia! This section will feature odd items, old stock, samples, products that have been tested or assembled and then unsold, check in often as items will be added in here at random times! SKYWORLD 70mm Cast Alloy Fan housing perfect for your custom fan setup. Single ended micro temp sensor measures up to 250 deg F. Great for batteries etc. MPR-MEM-EXP ● Expand the memory of your micro-logger V1 & V2 for recording even longer flights or with more sensors connected at once.